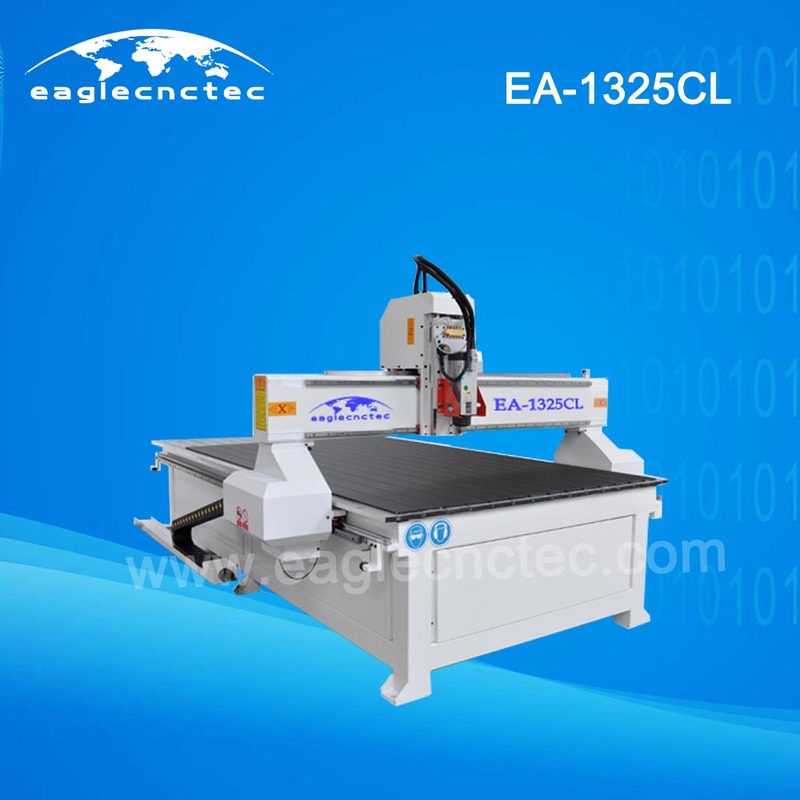 EA-1325CL is a basic model of cnc router, working size 1300×2500mm, clamp table. As a basic model, it can be used in any fields. This model equipped with origin Italy HSD6.0kw spindle, especially suitable for cutting jobs. Material: Solid wood, MDF, plastic, PVC, acrylic, and other nonmetal materials. 5) The Y-axis uses a dual drive, one for each side of the gantry. 6) Well compatibility: CAD/CAM designing software e.g. Type 3/Artcam/UcanCAM etc. 7) Has the function of re-carving after break point and power failure. 8) All the linear guides are centrally lubricated from a central system.